The annual Arctic sea ice minimum for 2016 is imminent and the hand-wringing about polar bear survival has already begun. While this year is shaping up to be another very low sea ice minimum in the Arctic – not as low as 2012 but lower than as low as 2007 (previously the 2nd lowest since 1979) – contrary to predictions, several recent studies show that such low sea ice coverage in summer has had no (or very limited) negative effects on polar bear health and survival. In fact, for polar bears in some areas low summer sea ice has been quite beneficial (although these are not the populations that polar bear specialists predicted would do better). Since low summer extents of recent magnitude (3.0 – 5.0 mkm2) are clearly not any sort of threat to polar bears, it seems improbable that even an ice-free (≤ 1.0 mkm2) summer (e.g. Wang and Overland 2015) would be devastating to the species [don’t forget Cronin and Cronin 2016: they’ve survived such conditions before] – as long as conditions in spring allow for the necessary concentrated feeding on young seals. Above: Top, minimum at 2012 (16 Sept, 3.41 mkm2, lowest since 1979); Center, 2007 (18 Sept, 4.17 mkm2); Bottom, 2015 (9 Sept, 4.50 mkm2), from NSIDC. Below: sea ice at 10 Sept 2016, 4.137 mkm2 – minimum not yet called). Recall that in 2006, the IUCN Polar Bear Specialist Group based their conservation status of ‘vulnerable’ (likely to become threatened within the next 45 years due to reduced habitat) on the predictions of sea ice specialists (see 2008 update here). Sea ice experts in 2005 predicted such low summer sea ice extents as polar bears have endured since 2007 (3.0 – 5.0 mkm2) would not happen until 2040-2070, at which time PBSG biologists said that >30% of the world’s bears would be gone. Evidence to the contrary comes from polar bear specialists working in the Chukchi, Beaufort, and Barents Seas – and in Southern Hudson Bay – since 2007. Overall, the latest IUCN Red Book assessment (2015) put the global population size at 22,000-31,000 (or about 26,500). All of this means that those polar bear experts were wrong: polar bears are more resilient to low summer sea ice conditions than they assumed. UPDATE 2 January 2017: I’ve added some quotes from the original USGS reports that explicitly state their dire predictions for 2050 that differ from the predictions made by the IUCN Polar Bear Specialist Group. The Arctic Climate Impact Assessment (Hassol 2004:Chapter 6, Fig. 6.8, copied below) shows that 3 of the 5 models used to forecast the next century’s September sea ice predicted that routine levels of 3.0 – 5.0 mkm2 would not happen until 2040-2070. I’ve married that predictive graph (marked at the 3.0 mkm2 level) with the ACIA map (drawn by Clifford Grabhorn) based on the average of all five models with the Sept extent in 2002, which appears to have been provided in a graphics package to the media (pdf here). Compare to the recent ice maps above. We’ve been at this polar bears will be doomed level of September ice coverage for most years since 2007 (this year included). We’ve heard it’s worse than we thought about Arctic sea ice decline and it’s true. The sea ice models were wrong. 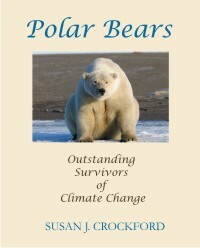 But the flip side of that truth is that polar bear subpopulations in vulnerable regions have failed to die off as predicted at these low levels – and that means the polar bear experts were wrong too. Update 2 Jan. 2017 clarification: In 2006, the IUCN predicted that polar bear numbers would decline >30% based on the sea ice predictions shown above. 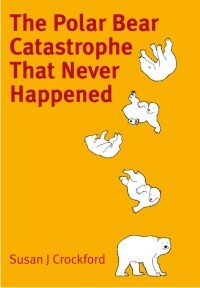 In 2007, US Geological Survey biologists predicted an even more dire outcome: they anticipated that 2/3 of all bears worldwide would disappear and that 10 out of 19 subpopulations would be extirpated (wiped out completely). In my test of the two hypotheses, I used the lesser of the two predictions. For more on the USGS predictions, see here and here. More on the PBSG predictions here. In the Chukchi Sea Karen Rode and colleagues found that polar bears that spent a longer time on shore in summer showed no negative effects (Rode et al. 2015). They report that 39% of Chukchi Sea bears spent time on land in 2008-2013 during the ice-free season (vs. 20% in 1986-1995) – an increase of 30 days that resulted in no change in body condition or reproductive factors. They also found that the proportion of females that made their dens on the sea ice was unchanged from one period to the next (about 16% each) despite the decline in summer sea ice. This new study extends and confirms the results of an earlier one that showed Chukchi Sea polar bears captured on the ice did better (in terms of body condition and reproductive parameters) in 2008-2011 (with a longer open water season) than they did in the 1980s (with a shorter open water period) (Rode et al. 2013, 2014). Similarly, Chukchi Sea ringed and bearded seals were fatter, females matured earlier, and appeared to rear more pups to weaning age with less summer ice (Crawford et al. 2015). More open water in summer has supported an increase in phytoplankton of about 42% in the Chukchi Sea (which has supported an explosion of krill and small fish that feed whales and seals) since the 1990s (Arrigo and van Dijken 2015; George et al. 2015; Moore 2016). As a consequence, Chukchi and Beaufort Sea baleen whales (humpback, fin, minke, grey, and bowhead) were recently been described by one researcher as being in “boom times” – a phenomenon that was expected for whales but oddly, not anticipated for polar bears or Arctic seals. Bottom-line: Contrary to expectations, a longer open-water period in summer in the Chukchi Sea has been beneficial for polar bears, as well as for their primary prey, ringed and bearded seals. As for the Chukchi Sea, in the Alaskan portion of the Southern Beaufort Sea, USGS researchers found no harm came to polar bears that spent more time spent on land due to recent increased sea ice losses. Todd Atwood and colleagues found “no causal link between the patterns in polar bear vital rates and increased use of terrestrial habitat” (Atwood et al. 2015b:13).” In other words, there were no negative effects on death or birth rates of polar bears due to this increased length of time spent on shore in recent years. More open water in summer has supported an increase in phytoplankton of about 53% in the Beaufort since the 1990s (Arrigo and van Dijken 2015; George et al. 2015; Moore 2016; Pickart et al. 2013), a greater increase in productivity than the Chukchi Sea. That’s good news for whales and seals, as long as periodic thick spring ice conditions don’t derail the situation for seals (and therefore, polar bears). Bottom-line: Contrary to expectations, in years when thick sea ice has not reduced the number of ringed and bearded seal pups available in spring, Beaufort Sea polar bears appear to have done well with a longer than average open water period in summer – however, more nuanced research designed to separate potential effects of longer open water in summer vs. repercussions of recurring development of thick spring ice is needed. Biologists from the Norwegian Polar Institute completed a population size survey for the Svalbard region of the Barents Sea in August 2015 and reported via press release that numbers had increased by 42% (from ~ 685 in 2004 to ~975 in 2015). Most bears were reportedly in excellent condition, with some “as fat as pigs” despite the many years with low summer and fall sea ice conditions recently in the eastern areas of Svalbard where polar bear females prefer to make their maternity dens (especially 2006, 2009, 2011, 2012, and 2013)(Andersen and Aars 2016). In addition, according to their data (published online), body condition of adult males has not declined with much reduced summer sea ice, nor has the number of females with one year old cubs. Bottom-line: Contrary to expectations, the Svalbard portion of the Barents Sea polar bear population has increased significantly in size despite very low sea ice conditions in about half of the 11 years since the last population count was conducted. Although the overall trend is declining for both metrics, there is no obvious correlation between very low extent in September in the Arctic Basin (2007, 2011, 2012, 2015, and 2016) and much earlier (or later) breakup/freeze up in Southern Hudson Bay (see map below, from Obbard et al. 2016). This spring, for example, breakup in this region was later than recent years and last year was very late. In Southern Hudson Bay (Obbard et al. 2016; see graph below with dates to 2012), freeze-up was as late in 2012 as it was in 1981 (with the latest freeze-up occurring in 1998, a strong El Niño year), and while breakup in 2011 and 2012 was earlier than average it was not nearly as early as it was in 2001 or 2010 (2001 was the earliest). Obbard and colleagues found that the ice-free period increased by about 30 days between 1980 and 2012, and while body condition declined somewhat, the population has remained stable over that time period. Declines in body condition index correlated only with freeze-up dates (not breakup dates or length of the ice-free season). Despite these changes in sea ice and body condition, the population has remained stable since the 1980s (Obbard et al. 2015). Bottom-line: Contrary to expectations, polar bears in the most southern region of their available habitat in Southern Hudson Bay have been only slightly affected by a longer than average open water period and their population size has remained stable. Despite the fact that since 2005, sea ice in September has fallen to 5.0 mkm2 or less 9 years out of 11, polar bear numbers have not declined due to this longer open-water season and some subpopulations (Chukchi Sea, Barents Sea) have clearly thrived. The reason for this is simple: as long as polar bears get more than enough to eat in the spring (when they eat as much as possible), their stored fat will see them through a 4-5 month summer fast whether they spend that time on land or on the sea ice. 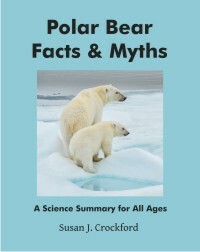 As long as ice and snow conditions are adequate in the spring (which can fluctuate naturally), the precise extent of sea ice in summer/early fall (June/July to October/November) is immaterial for most polar bears because they don’t eat much over these months anyway – they may try to catch seals but they are not often successful (Whiteman et al. 2015). The benefit to polar bears from a longer-than-usual open water seasons is that it allows ringed seals and young bearded seals to get well fed before the coming winter. This results in better survival of adult seals and better production of fat young seals the following spring, which means more abundant food for polar bears when they need it the most. In other words, contrary to the expectations of polar bear specialists (and their steady cries of doom), low summer sea ice extent has been good news for polar bears in three out of four high-risk areas studied (and effectively neutral in the other), which is likely to continue as long as spring ice and snow conditions do not interfere with the intense feeding that polar bears require from March/April to May/June. 1. Lois Harwood and colleagues recently reported (Harwood et al. 2015:267), citing “unpublished data,” that in 2012-2014, ringed seal pups in the Eastern Beaufort declined significantly and ovulation rates of females plummeted – which is what has happened in the past when thick sea ice develops in spring (about every 10 years since the 1960s). Since such reduced numbers of seal pups would result in poor condition of local polar bears and reduced survival of cubs and subadult, it’s odd that no polar bear biologists working in the Eastern Beaufort (e.g. Andrew Derocher’s team from University of Alberta) have mentioned dying or starving bears in 2012-2014. I don’t know what to make of Harwood et al. claim, so I’m noting it without jumping to any conclusions. Amstrup, S.C., Marcot, B.G. and Douglas, D.C. 2007. Forecasting the rangewide status of polar bears at selected times in the 21st century. Administrative Report, US Geological Survey. Reston, Virginia. Hassol, S.J. 2004. Impacts of a Warming Arctic: Arctic Climate Impact Assessment. Cambridge University Press, Cambridge UK. Pickart, R.S., Schulze, L.M., Moore, G.W.K., Charette, M.A., Arrigo, K.R., van Dijken, G., and Danielson, S.L. 2013. Long-term trends of upwelling and impacts on primary productivity in the Alaskan Beaufort Sea. Deep-Sea Research I: 179:106-121. Rode, K.D., Douglas, D., Durner, G., Derocher, A.E., Thiemann, G.W. and Budge, S. 2013. Comparison in polar bear response to sea ice loss in the Chukchi and southern Beaufort Seas. 28th Lowell Wakefield Fisheries Symposium, March 26–29. Anchorage, AK. Whiteman, J.P., Harlow, H.J., Durner, G.M., Anderson-Sprecher, R., Albeke, S.E., Regehr, E.V., Amstrup, S.C., and Ben-David, M. 2015. Summer declines in activity and body temperature offer polar bears limited energy savings. Science 349:295-298. This entry was posted in Conservation Status, Population, Sea ice habitat and tagged ACIA, arctic sea ice, Barents Sea, bearded seals, Beaufort Sea, body condition, Chukchi Sea, endangered, extinction, extirpation, facts, IUCN Polar Bear Specialist Group, NSIDC, polar bear, population size, predictions, productivity, ringed seals, sea ice, Southern Hudson Bay, summer ice minimum, survival, threatened. Bookmark the permalink.